Sam Peckinpah’s classic 1969 western The Wild Bunch is getting the remake treatment at Warner Bros. with Mel Gibson on board to co-write, direct, and executive produce the project. Gibson is co-writing the remake with Bryan Bagby. It’s not yet evident if Gibson will be making a remake or deviating from Peckinpah’s original version. Warner Bros. has been trying to work with Gibson for a while now and reportedly asked him to helm Suicide Squad 2. He ultimately turned the sequel down. The Wild Bunch was controversial upon its release in 1969 for graphic violence. The film tells the story of an aging group of outlaws going after one last score on the United States and Mexico border, while being pursued by a merciless posse. In addition to being notable for graphic violence, Sam Peckinpah’s original was also known for intricate, multi-angle, quick-cut editing using normal and slow motion images, which were revolutionary cinematic techniques at the time of its release. Mel Gibson was last in the director’s chair for the World War II biopic Hacksaw Ridge, which earned him a Best Director Academy Award nomination in 2017. Up next for Gibson is the World War II drama Destroyer, which focuses on the Battle of Okinawa. The film is scheduled to begin production next spring in Australia with Mark Wahlberg starring. Since Gibson already has a project in development, it could be a while before The Wild Bunch remake gets made. The director/writer/actor has also been talking about making a sequel to The Passion of the Christ for a number of years, but it’s unclear if that project is still a priority at this time. Many of Mel Gibson’s projects, including Braveheart, The Passion of the Christ, and Hacksaw Ridge, have been known for their graphic violence, so taking on The Wild Bunch remake won’t be much of a stretch for Gibson. While Sam Peckinpah’s original film was criticized for the amount of violence on the screen, he defended it by stating that it was metaphorical to the Vietnam War, which was going on at the time. The remake has been in development for nearly a decade, with Tony Scott originally on board to direct in 2011. However, the project stalled after his death in 2012. Mel Gibson’s return back into Hollywood has been a slow one after a string of personal controversies became big headlines, starting in 2006 after a DUI arrest in California when he made anti-Semitic comments to the arresting officers. Later in 2010, Gibson was recorded by ex-wife Oksana Grigorieva making racial slurs. Law enforcement launched a domestic violence investigation against Gibson, but later dropped it when he pleaded no contest to a misdemeanor battery charge. Robert Downey Jr. advocated forgiveness for Gibson back in 2014, which was met with mixed reactions. 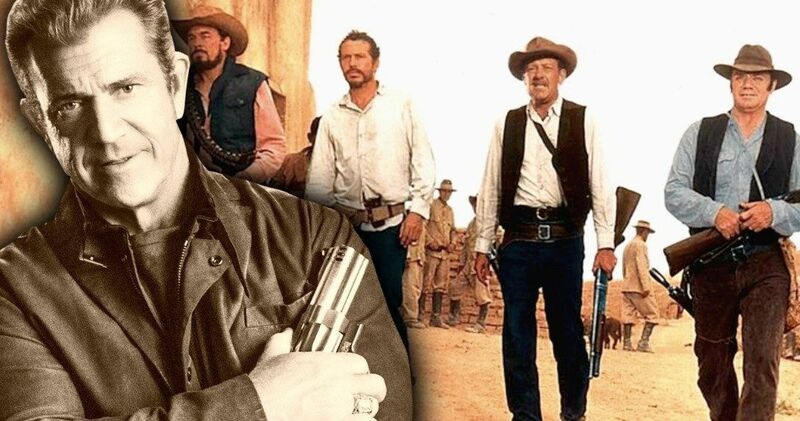 The Wild Bunch remake news was first reported by Deadline.